KUCHING: The only way out to solve the “termites” within Gabungan Parti Sarawak (GPS) is to have an imminent Cabinet reshuffling, said Deputy Chief Minister Tan Sri Datuk Amar Dr James Jemut Masing. CM has my solid backing, says Masing. Masing was commenting on Chief Minister’s Datuk Patinggi Abang Johari’s comment on a group within GPS calling them “termites”. The people in this group had a strange way of expressing their loyalty to the CM by claiming Abang Jo as their boss but, at the same time, cutting off one or two pillars of his house, he said. “It seems to me that they are daring Abang Jo to sack them. Whatever CM decides to solidify his base within GPS has my solid backing,” Masing added. University of Malaya Associate Prof Dr Awang Azman Awang Pawi, according to Masing, was correct in saying that CM’s way forward in solving PSB’s political impasse with GPS is getting narrower by their (PSB) activities by the day. 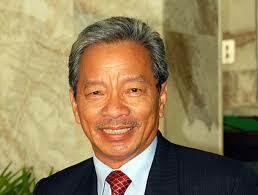 Masing suggests reshuffle to solve ‘termites’ in GPS 0 out of 5 based on 0 ratings. 0 user reviews.